For my second week, I choose to GELATO! WOW! Where should I start?! For the past 3.5 years in Italy, I have adapted and learned many things, one of them being eating seasonally. For instance, in October and November its typical to eat Risotto with funghi ( porcini or chiodini) an Italian would never eat risotto with chiodini in May! As the chiodini mushrooms are not in season. Well, the same goes for Gelato believe it or not. 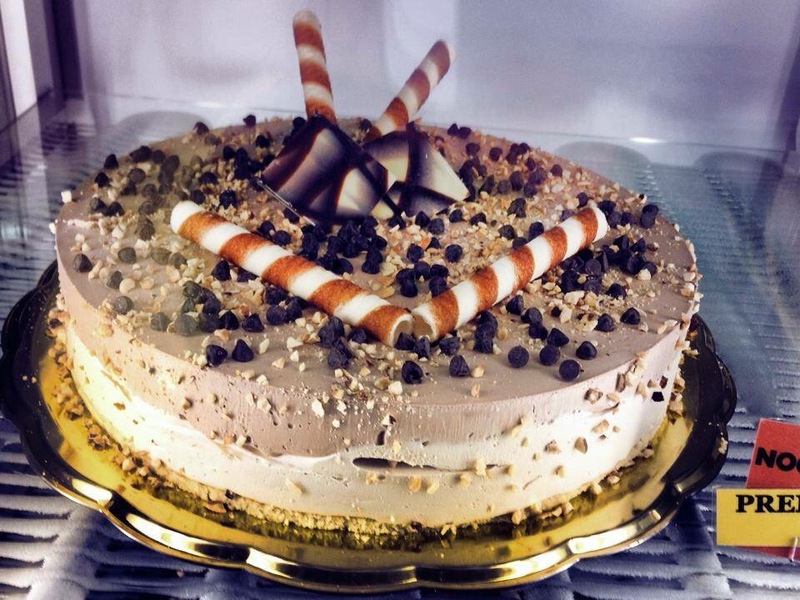 In the Fall and Winter youll find your basic general flavors such as lemon, vanilla, chocolate, mint, fior di latte. Those flavors you can have year round but when Spring comes around its a completley different ball game! ACE – which is a popular juice drink here in italy which includes, orange juice, carrot and lemon. All of the fruit that is in season now you’ll find in a gelateria for sure. 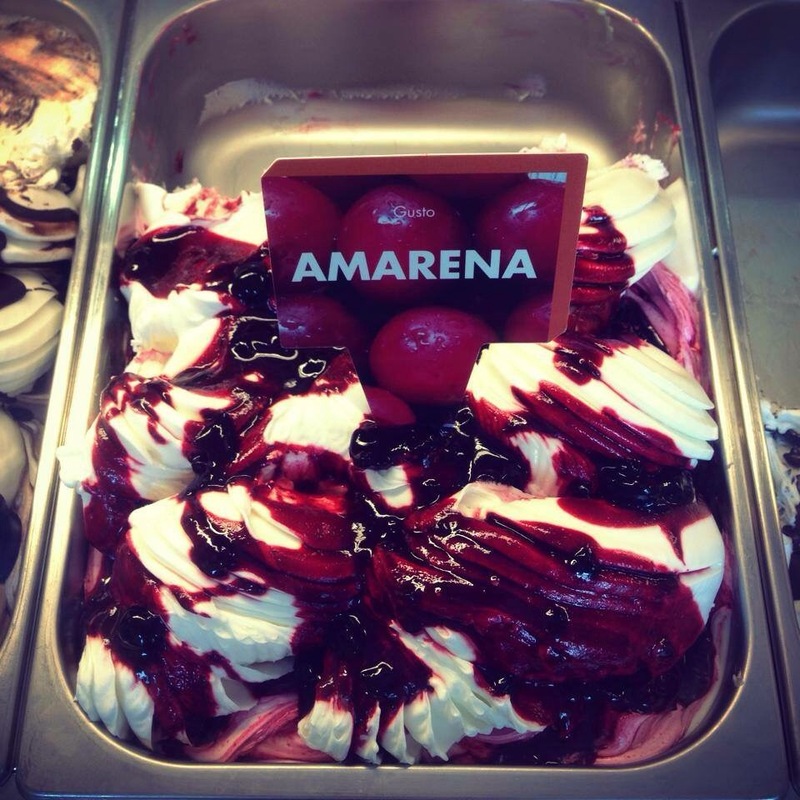 Most of the good gelateria’s use fresh ingredients, never frozen thus why we eat seasonally here in Italy. Most of the gelateria’s close during the coldest months like in December and January because why would you want to eat gelato in the cold Winter months? 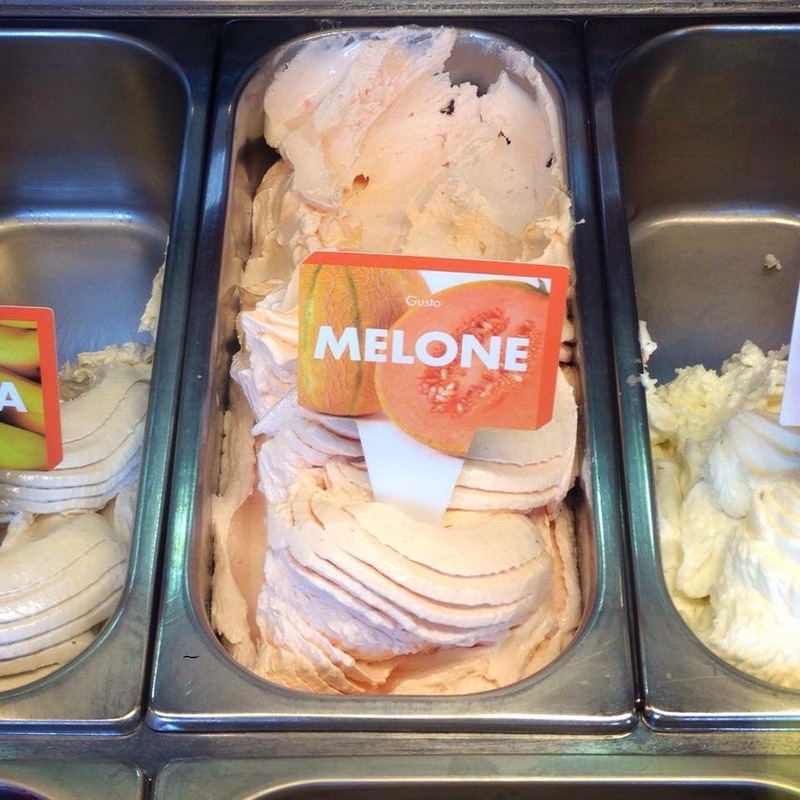 Well, I can eat gelato anytime, any season. I am sure my jeans are thankful that for two months they have a break. 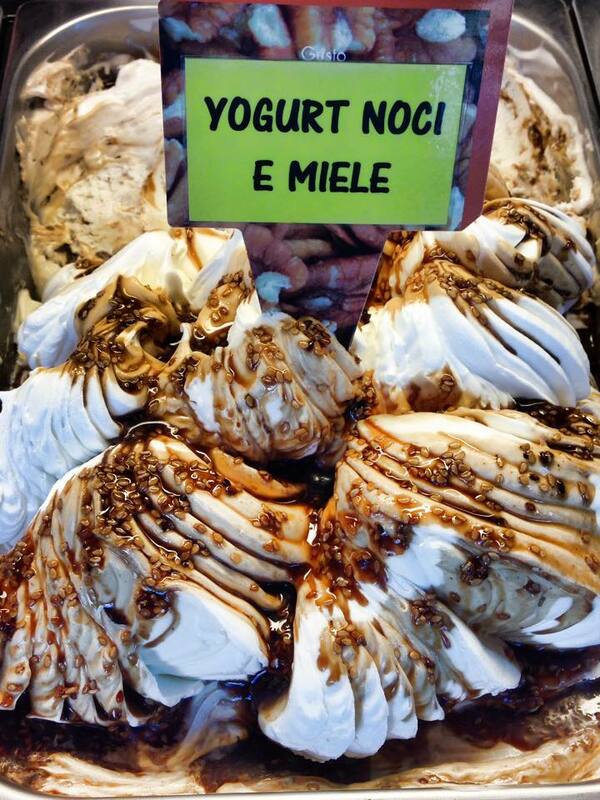 You simply can’t beat the price either.. 1 EURO for a generous scoop of gelato. I was recently invited to go and see how Gelato is made in Jesolo, Venice and I can’t wait to share with all of you how this delicious concoction is made. 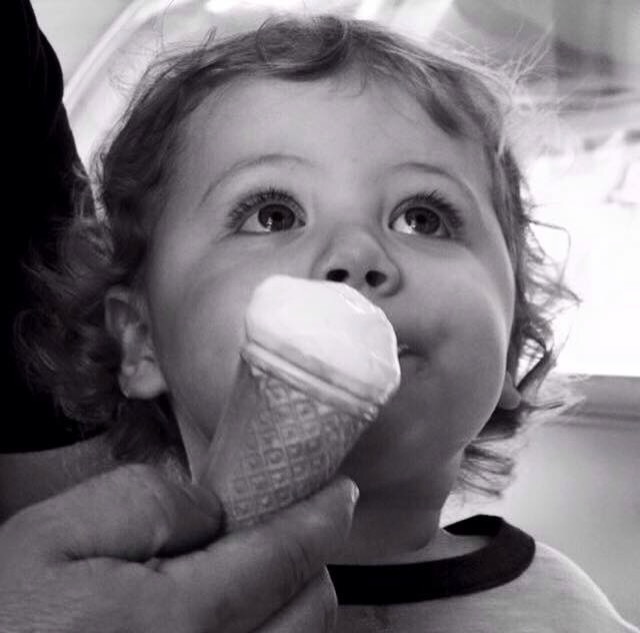 Luca’s first gelato. We chose Fior di latte for him. I splurged today.. 3 scoops of Stracciatella which is a base of fior di latte and chocolate chips..
Gelato with Amarena which are small cherries grown exclusively in Italy and its a new traditional flavor that you can have year round. 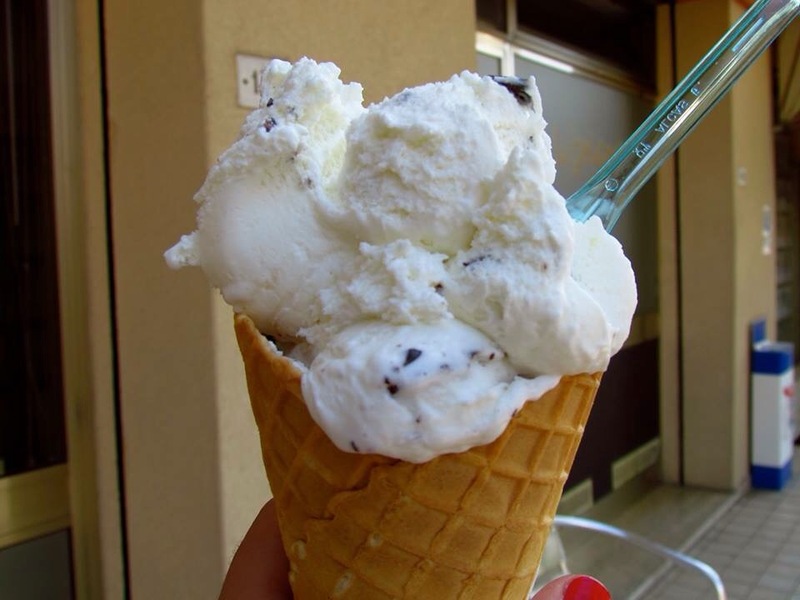 Yogurt flavored gelato with honey and nuts was popular during February and March. Sorry for the poor quality of this photo. In the middle you have cantaloupe, to the left banana and coconut to the right. So, tell me do you prefer fruity flavors are the traditional flavors? Cup or cone? Whip cream?